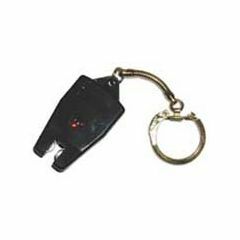 Keychain Hearing Aid Battery Tester is a portable, convenient way to carry your hearing aid battery tester! Tester is 1" x 1-1/2" on a 2" keychain. Check my batteries. Really handy.